I’ve got to say one of the most enjoyable activities on the Olympic Peninsula is hiking in the Olympic National Park. It’s absolutely beautiful. Here’s a pic I took hiking above Sol duc Hot Springs. Among real estate lawyers there is a phrase that sums up much about a case, “the neighbor from hell.” Unfortunately, there are more of these folks than people may realize. True story. My client’s neighbor put a giant concrete speed bump in the shared driveway but just past the neighbor’s turn off. When my client had it removed, because it did $900 damage to his car bottom, the neighbor began putting large stones in the driveway, then paint in the water puddles after the rain, and also stood in the middle of the driveway blocking my client’s exit. Amazing, isn’t it? Just amazing! There are several thousand business owners in the Port Angeles and Sequim area. How many of these owners have a succession plan for their business? In other words, how many have business planning with an exit strategy and the business equivalent of estate planning? Statistically, 70% of Americans have no estate planning at all. My guess is that 70% of business owners have no business succession plan. So if you are a business owner and your partner dies, maybe your partner’s widow will become your new partner. Hmmm. Scary thought? There are worse things. I think. Listing Price. This is a true story about the listing price of a home for sale in Sequim. A nice gentleman tells me that he is really really frustrated with his real estate agent. I played along and said, “Why?” So he tells me this long story about how he had wanted to sell his house, and he talked to a few agents. Two of the agents showed him comps (comparables) that showed a price in the range of $350,000 to $395,000. One was suggesting a listing price of $385,000 and the other was suggesting a listing price of $375,000. But . . . this nice gentleman was persuaded by a third agent that his house would sell for at least $435,000, so he listed with the third agent. Six months later still without a sale, the agent persuades him to reduce the listing price to $399,000. Long story short, the house ends up selling after 11 months on the market for about $370,00, which included some credits the seller ended up giving the buyer. I would say the moral of this story is IF AND WHEN YOU HIRE A REAL ESTATE AGENT, MAKE SURE HE/SHE DOES NOT THINK THE LISTING PROCESS IS A BIDDING PROCESS. DO NOT BE FOOLED BY SOMEONE WHO WILL LIST YOUR PROPERTY AT A HIGH PRICE TO GET THE LISTING, AND THEN EVENTUALLY WORK YOU DOWN IN PRICE. The most important decision a home seller will make is who he hires as his/her Realtor. The second most important decision is the listing price. It occurred to me that you might want to know who your host is. Of course, you would see my posts and could figure that out, but here it is in plain English. 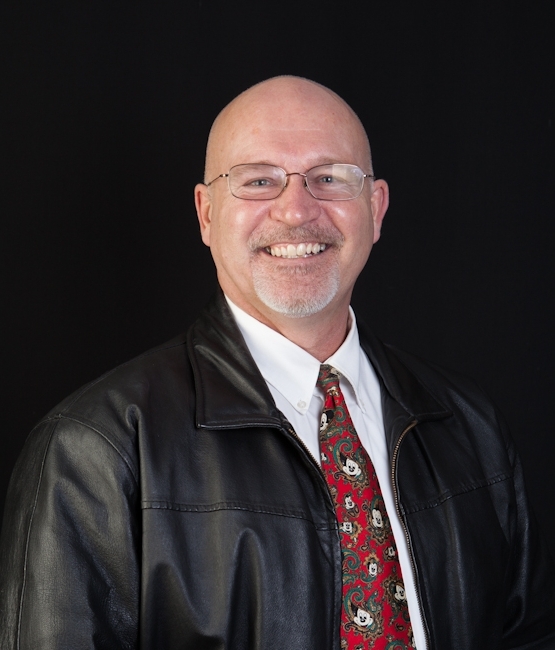 I am Chuck Marunde, retired real estate attorney and now Real Estate Consultant and Realtor working on properties in the Sequim and Port Angeles areas. 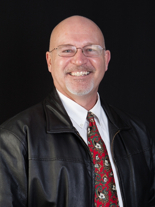 You can learn more about me and my professional background, if you are so inclined, by going to FreeRealEstateLaw.com. I hope you find this Blog useful and fun. Having grown up in Alaska, and now living in Washington since 1980, I often find myself comparing the weather. My folks still live in Tok, Alaska next to the towering Alaska range mountains. Alaska is beautiful, as it is here in Sequim and Port Angeles. I’m thankful the winters are not as cold. I recall temperatures as cold as -78 degrees Fahrenheit. Today it is a beautiful sunny day in Port Angeles and 84 degrees. It’s 50 degrees in Tok, Alaska. Are Alaskans Moving to Sequim? Filed under: Alaska v. Sequim/P.A. One of the reasons I love living on the Olympic Peninsula is the beautiful outdoors, the mountains, the ocean, the rivers. Jogging, bicycling, and hiking in the Olympic National Park is incredible. You can hike a few miles into the mountains, soak in one of seven natural hot springs, and hike further up into the mountains, and there are places to pitch a tent. The simple answer is no. Assuming she signed the agreement to sell, if she refuses to sign the closing documents, she would be in breach, and the buyers could sue for specific performance. That could cost everyone a lot of attorney’s fees. It can be a nightmare scenario. Of course, divorce can cause devastating financial consequences, not to mention broken hearts. When it comes to divorce and real estate, there are many traps for the unwary. The legal issues should be handled proactively, and that probably means you need to talk to a sharp attorney who understands how to protect you. But there is a major reason to handle the legal issues proactively, and it is not a legal issue. You may know what the biggest trap is . . . if you have been through a divorce yourself. You think you know someone. You may have been married 23 years and sacrificed much of your life for your spouse and your children. You were loyal and always faithful. But one day your spouse starts saying things that don’t make sense and seems to become a different person–angry and demanding and wanting a completely different life. Some spouses, not all, will become vicious and hire a junk yard dog attorney to take you for everything you have. This is the kind of dysfunctional spouse that also may seek to destroy you, although that is unbelievably mean and cruel beyond words. But many have gone through this kind of experience. It’s sad, and the spouse who goes off the deep end doesn’t seem to care that he/she is breaking their childrens’ hearts and imploding the entire family. Handling the sale of real estate and actually getting the net proceeds voluntarily released by a bitter and unhappy spouse is no small victory. Hire a good attorney. Having your heart broken is bad enough, but not protecting yourself financially will have consequences for many years. Divorce and real estate is one of life’s touchy and difficult challenges. I’ve had so many clients who made the mistake of doing their own Quit Claim Deed on their real estate. They owned a vacant piece of property, and thought they would save attorney’s fees and accomplish their own estate planning by avoiding probate with a Quit Claim Deed signing the property to their two boys. They signed it and recorded it. Three years later, I get a call from this kind gentleman who is now wanting to sell the lot, because their plans have changed. He is told by someone now that he cannot have his minor children sign a deed back to himself. He asked me what he could do to sell his property. I explained that it wasn’t his property any more, at least not since he deeded it to this children. His children could not legally sign it back to him without a court appointed guardian, so he would have to hire an attorney to do a guardianship. That could easily cost several thousand dollars before the dust settles. That’s one example of how not to use Quit Claim Deeds. I grew up in Tok, Alaska. It was great. Hunting, fishing, great wild country. Incredible mountains. Cold. I moved my family to Sequim in 1994 from Los Vegas, where I was a JAG in the USAF. Sequim is a great place to raise a family. My children thrived in the safe and healthy environment, and my boys participated in athletic events of all kinds at Sequim H.S. You may know my oldest son, who lives in Sequim, Jesse Marunde, who is a professional strongman. My other sons, Bristol, and Brady, live in Renton. I love Sequim and Port Angeles. I’m retired as a real estate attorney and now practice as an Associate Real Estate Broker. If you don’t live here, you should! Kijiji is a site you may not have heard about before – it’s online marketplace eBay’s community based classifieds service. The site has been operating in Canada, France, Germany, Italy, China, Japan, and Taiwan since February 2005, and has now just launched in the US. Much like craigslist, it aims to help people post and find advertisements in a number of categories including automobiles, jobs, personals, and, of course, housing. For Realtors looking to market their listings online, Kijiji (whose name means “village” in Swahili) is just another option in a growing number of Web 2.0 sites looking to aggregate real estate listings; Google Base, Yahoo! Classifieds, Microsoft’s Live Expo, Edgeio (see Edgeio on InmanTV) to name just a few. Jay Thompson, a Realtor who blogs at the The Phoenix Real Estate Guy, has given it a try and calls it “a snap”. Keeping track of all these options can be overwhelming however. Web services like vFlyer and Postlets help agents by syndicating their listings to all of the sites in one shot and if you need some help sorting through all the options, read this post Craigslist Alternatives Compared from the site Mashable.com. Are you in the market to hire a Sequim home builder (or a Port Angeles home builder)? I learned a few things about building houses and about contractors during my 20 years in real estate law. Let’s be very clear about this. There are many outstanding Builders and Contractors out there. The problem, as with any profession, is that you only need to get one bad one to live through a personal nightmare. Use these practical rules to find and hire a good Sequim home builder, and you’ll save potentially $1,000s in attorney’s fees, not to mention other costs, stress, and even divorce. Do not simply open the Yellow Pages and pick a Sequim home builder. Do not choose a builder simply because he seems nice. 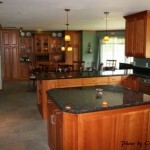 Do get a reliable referral to a good Sequim home builder. That means the referral comes from someone who is known to be reliable and who knows the builder and the quality of his work. Do your due diligence on the prospective builder. Investigate thoroughly. Look at some of his houses, inside & out, and talk to previous customers. Be careful. You can still be fooled here. You can find one or two happy customers with every Sequim home builder. Check on his state license/registration, which can easily be done on the Internet by Clicking Here. Use the State’s checklist, also, but notice they don’t tell you what NOT to do, which is where many of the traps are. On the same State Internet resource, you can check the builder’s status, infractions, bond, and pending lawsuits. DO IT! Believe it or not, the vast majority of people do this only after they get into trouble with the Builder. Check your local county superior court clerk’s office for pending lawsuits against your prospective Sequim home builder. After all this, interview your prospective Builder/Contractor, and see if you like him. If you don’t, I strongly recommend you keep looking. Gut feelings are important. You’ve spent a lifetime learning how to read people. Don’t ignore that lifetime of experience now. Here you should judge the book by its cover. Ask for a copy of his standard contract and take it home to review it. Get a professional opinion on that contract. It seems every Sequim home builder uses a different contract, and many of them are grossly one-sided. There are several critical contract issues you want unambiguously addressed in the contract. I’ve referred to Sequim home builder here, but obviously this applies to Sequim and Port Angeles home builders. Who is the Best Sequim Home Builder and Port Angeles Home Builder? Having practiced real estate law in Sequim & Port Angeles for many years, this is my list of the 10 biggest real estate problems in Clallam County. If you hover your mouse over some of them, you will notice they have links to more detailed articles, if your interested. Should I Buy a Home by a Freeway? What Should I Know About Buying My Mother’s House? We did not know in the summer of 2007 that the Sequim real estate market would be caught up in a national real estate recession that would continue for so long with no apparent end in sight. As of this update (10/2/2010) there are homes that have been listed for sale in the Sequim real estate market for over 1,000 days. One has been on the market for 1,559 days, another for 1,169 days, nine more for over 1,000, and 72 on the market for 500 days or longer. You may be thinking that the reason homes aren’t selling is because we are in a recession. True. We are. But I’m writing specifically about homes that have been on the market for years. These homes have issues in addition to the fact that the Sequim real estate market suffers. 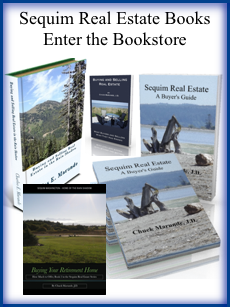 The Sequim real estate market is bifurcated. In other words, there are homes that are selling within a reasonable period of time at reasonable prices (consisting of maybe 5% of the market), and then there is the rest of the market (consisting of roughly 95% of the listings). Retirees are still moving to Sequim and Port Angeles and buying houses, not in the large numbers of 2005, but they are still buying. But they are cherry picking the best houses in the best areas at the best prices. The rest of the houses sit on the market for a long time, and the homes with issues are still on the market even beyond 500, 600, 700, 800, 900, and 1,000 days. The Sequim real estate market is a buyer’s market for retirees who are qualified buyers and don’t have to sell their current homes. Picture taken by Chuck Marunde of Lower Elwha Damn lake taken on a beautiful evening in July of 2007.